Hayao Miyazaki made Nausicaä of the Valley of the Wind (Kaze no tani no Naushika, 1984) to show the limitlessness of animation—how the medium could reach beyond setting or narrative no matter how extravagant or impossible their conditions. Accordingly, his scenario contains a science-fiction landscape that no live-action film would dare attempt because Hollywood effects could never replicate Miyazaki’s vision in all its glorious and unhindered detail. In this, his second feature, he establishes themes and an animation style that appear throughout his subsequent pictures, all while boasting an environmentalist thesis within an epic-sized adventure. 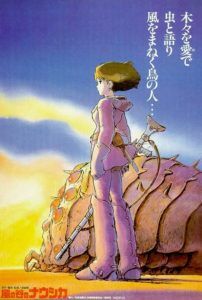 Based on the manga book written by Miyazaki himself, the film’s plot encompasses only the first two volumes of a seven-volume series. 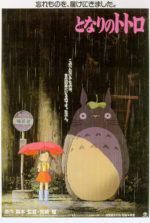 Miyazaki initially began the series with a film in mind, putting it in manga form only because the producing studio, Toei Animation, refused to fund an anime not based on a manga. But, completed over twelve years, his books took on a life of their own, and though the first volume was published in 1982, and the film in 1984, he continued to work on the book well into the 1990s. 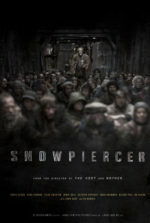 As with any book-to-film adaptation, the text proves more complicated and involved in its various factions and politics, but it lacks the simple romanticism demonstrated in the film. And though the film is abbreviated in comparison to its source, the scope of the picture remains the most grandiose of all Miyazaki films. Perhaps the extent of his vision was a reaction to the narrative constraints of his previous film, Lupin III: The Castle of Cagliostro, for which Miyazaki was required to operate within Monkey Punch’s established limitations. For his inspiration, Miyazaki derived the name “Nausicaä” from the daughter of Phaeacian King Alcinous in The Odyssey. Homer’s humble character worked alongside her servants and aided the shipwrecked Odysseus when he crawled ashore. The director combined her welcoming, open-armed character with that of “The Princess Who Loved Insects”, a tale told during Japan’s Heian Period of a young woman who preferred the company of Nature to elegant gowns or life in riches. From these sources the quality of the film’s Nausicaä becomes apparent: She’s a noble girl who in any other time or place would be shunned for acting out of the ordinary; she watches insects and Nature, and she refuses to engage in those feminine things a princess is supposed to. Set 1,000 years after an apocalyptic catastrophe called “The Seven Days of Fire”, the film’s environment is a drastic and perilous one. Massive toxic forests, in sum called “The Sea of Decay”, release deadly flora, contagious spores, contain lethal gasses, and serve as a breeding ground to colossal insects. Building-sized isopods called Ohmu (a nod to the worms from Frank Herbert’s Dune) crawl about and threaten the few remaining human establishments with their red-eyed tempers, which if flared will cause an unstoppable stampede. We first see Nausicaä taming an enraged Ohmu with her jet-propelled air glider, soaring fearlessly before it and waving a wind instrument to calm the creature and divert its course. She guides it back to its forest, while its target, Nausicaä’s adviser Lord Yupa, watches in awe and realizes his princess is unique. As the story progresses, we meet the peaceful people of The Valley of the Wind, whose seaside location remains untouched by the dangers of the toxic forests. The people live in tranquility until an airship bearing a deadly biological weapon crash-lands, releasing spores and bringing the attention of dangerous outsiders. Before long, The Valley is invaded by tanks and Medieval-looking knights led by Kushana, a sympathetic despot bent on wiping out the toxic forest and reclaiming the planet. Unlike Kushana, Nausicaä in her innocence sees beauty in the toxic insects; she realizes that deep underneath the poisonous wasteland there’s pure water and healthy soil. Her desperate attempts to communicate this to the violent peoples occupying her village fail. 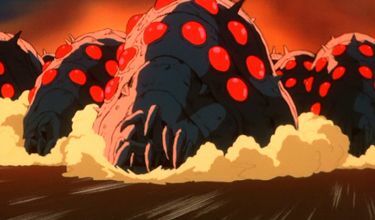 Various factions all want Kushana’s biological weapon, a giant warrior engineered to devastate everything in its path, but Nausicaä tries to unite them in her idealistic quest, and in the end, she’s viewed as a prophesied idol for doing so. Being Miyazaki’s most outright environmentalist effort, it’s no wonder the film was supported by the government-free World Wide Fund for Nature. The film’s message suggests that the environment must be preserved in its natural state, even if said “nature” isn’t comprised of cute, fluffy animals, but rather frightening and precarious life. Miyazaki even admitted to The New Yorker interviewer Margaret Talbot, only partly in jest, that he looks forward to a post-apocalyptic period where humanity has finally subsided to Nature and the Earth takes a natural course again. This passion for the beauty of Nature, present in nearly all of his films, finds its most potent argument within this film. Released in the U.S. in the mid-1980s under the title Warriors of the Wind and edited down by about half an hour, the film was poorly received in countries other than Japan, largely due to the confusion caused by the unapproved editing. Subplots were deleted, whole characters rendered nonexistent, and entirely new dialogue was written around the animation. The original English-dub voice actors had no idea that their spoken lines bore no resemblance to the original script. After this artistic tampering, Miyazaki insisted his productions remain uncut by U.S. distributors. 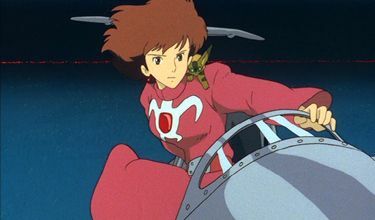 Not until 2005, when The Walt Disney Company purchased the rights to Studio Ghibli’s inventory, was Nausicaä of the Valley of the Wind released in its entirety and given a proper, rather exceptional dub in the United States. The voicework contains performances by Allison Lohman, Patrick Stewart, Edward James Olmos, Shia LaBeouf, Uma Thurman, Tony Jay, Chris Sarandon, and Mark Hamill. Every live-action movie has “lost possibilities” according to Miyazaki, whereas an animated film has none. Nausicaä of the Valley of the Wind literally illustrates what a live-action film could not, at least, not with the same sense of uniformity or reality. Live-action films have special effects that are meant to be real, CGI-created characters and backdrops; but the audience, no matter how firm their suspension of disbelief, always recognizes that the effect is ultimately an illusion. For an animated film, the audience must accept that the cartoon world presents the film’s reality, and once they’ve done that, the film’s reach is boundless because the medium remains singular and illimitable. Miyazaki, backed by Studio Ghibli, wields animation’s power in this regard better than any other single storyteller in animation. 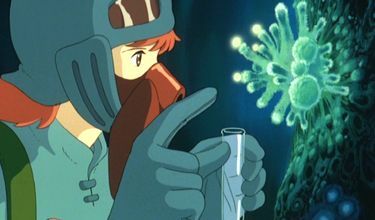 Though released before Ghibli’s formation, Miyazaki and co-founders Isao Takahata and Toshio Suzuki consider Nausicaä of the Valley of the Wind the foundation of their production company, since it contains the style and narrative scope the company’s films seek to achieve through animation. 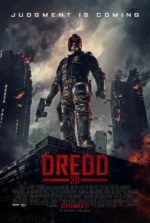 Creatively, it stands as their inspiration by conveying weighty themes without soapboxing, and it tests the limits of animation’s unbounded territory. Inside are three-dimensional characters and impossible sights, all given depth through Miyazaki’s incredible approach. Moreover, Nausicaä of the Valley of the Wind serves as a model from which the director’s recurrent social and dramatic themes find their origination: Miyazaki frequently uses strong female protagonists; his villains, like Kushana, often see beyond their own limited perspective to become feeling, but no less driven characters; his Nature-first, humanity-second approach to environmentalism began here; and a sense of unpreventable destiny is born in his work, versus a black-and-white conflict-resolution. While Miyazaki’s subsequent films contain these traits here and there, only Princess Mononoke, the younger and more virulent sibling of Nausicaä of the Valley of the Wind, compares in its amalgamation of these concepts. Still, these ideas were never more pure than in their first assembly, gathered by an idealistic young Japanese animator on the verge of changing the medium with his vision.